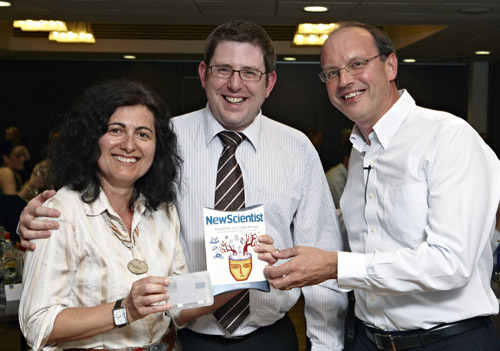 The CCaLC project won an Award for Most Successful Collaboration, awarded by Chemistry Innovation at the Annual Stakeholder Event held in Birmingham on 2-3 June 2011. Professor Adisa Azapagic accepted the Award on behalf of the CCaLC team from Dr Graeme Armstrong, Chair of Chemistry Innovation and Head of R&D at AkzoNobel. Dr Armstrong praised CCaLC for its contribution to sustainability and for providing a useful tool for the Chemical Industry to estimate and manage carbon emissions along supply chains. For more information on Chemistry Innovation and the Stakeholder Event click here.